Google cheif executive Sundar Pichai. Google’s 44-year-old India-born CEO Sundar Pichai received nearly USD 200 million in compensation last year, double the amount he got in 2015. Pichai received a salary of USD 650,000 last year, slightly less than the USD 652,500 he earned in 2015. But the long-time Google employee, who was named CEO during the company’s re-organisation in August 2015, received a stock award of USD 198.7 million in 2016, roughly double his 2015 stock award of USD 99.8 million. 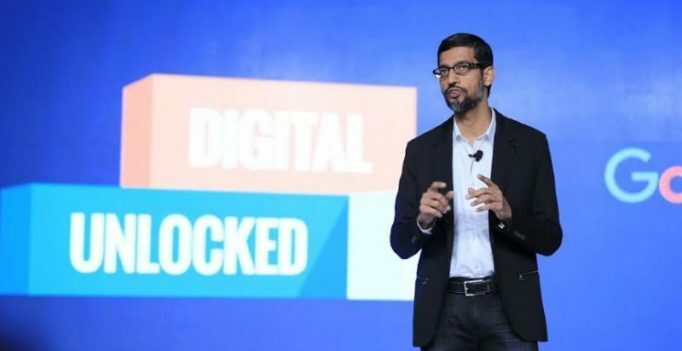 The company’s compensation committee attributed the lavish pay to Pichai’s promotion to CEO and “numerous successful product launches”, the CNN reported. Larry Page, Google’s co-founder and previous CEO, shifted his focus to growing new businesses under the Alphabet umbrella. Under Pichai, Google has boosted sales from its core advertising and YouTube business, while also investing in machine learning, hardware and cloud computing, the report said. In 2016, Google unveiled new smartphones, a virtual reality headset, a router, and a voice controlled smart speaker. These efforts have started to pay off for the company. Google’s “other revenues”, a category that includes hardware and cloud services, hit nearly USD 3.1 billion in the most recent quarter, a gain of about 50 percent from the same quarter a year earlier. Alphabet’s stock has soared this year, pushing it above a USD 600 billion market cap this week for the first time, the report said. Fraud At 8,848 Metres: Are Mount Everest ascents too easy to fake? Sridevi to act in Mr India 2?